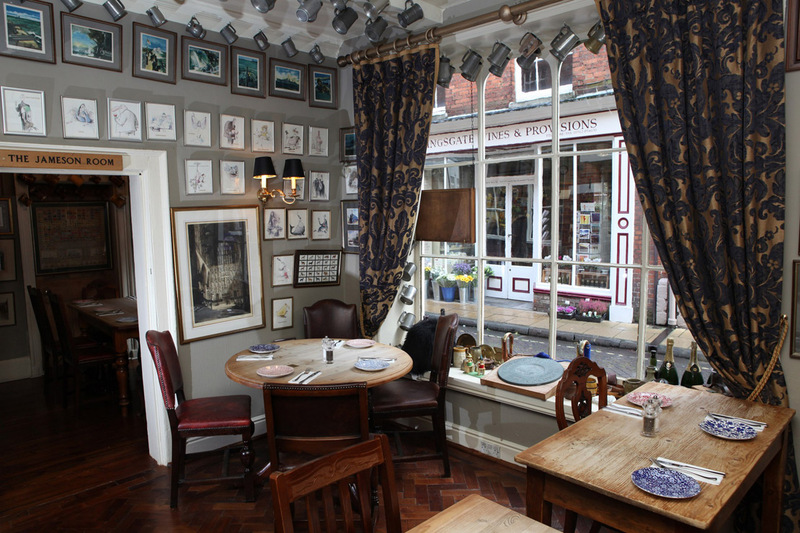 We’ve been to Winchester a few times and, though it would be tempting to stay in the Hotel du Vin, there’s a little pub that offers much better atmosphere, food, beer, wine [enough, it’s a pub…Ed] and very central. 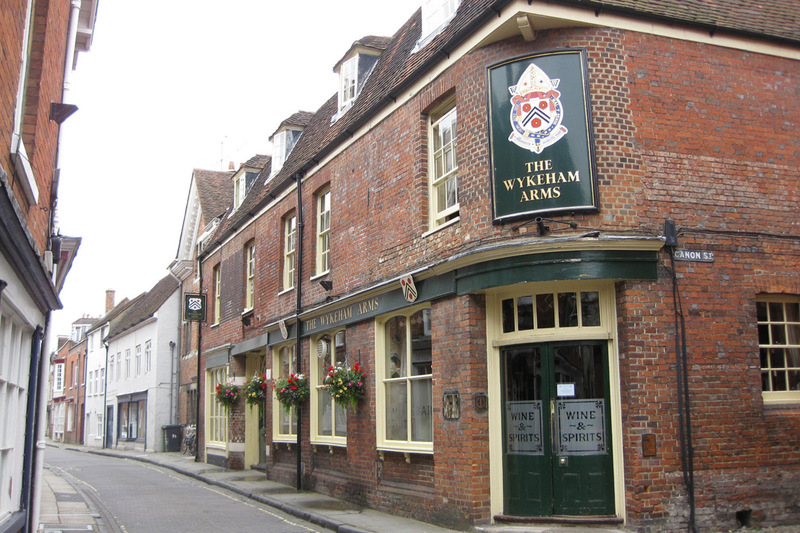 We were attracted to the Wykeham Arms nearly twenty years ago on a university hunting trip [Southampton] when it had just been named Good Pub of the Year. And they were right. 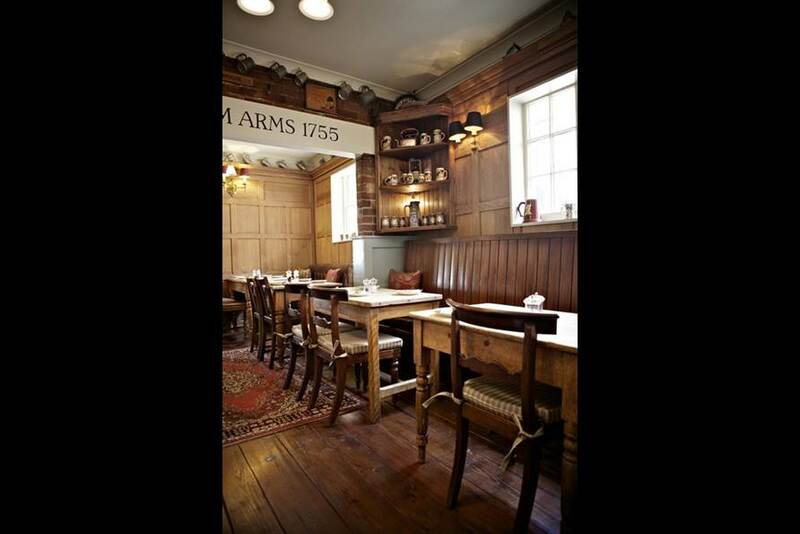 More recently voted “Town Pub of the Year” by the Good Pub Guide. Supported by CAMRA, it’s now owned by Fullers rather than being a free house, but none the worse for that. Think elegantly drinkable “London Pride” amongst others, all very acceptable and sessionable – if that’s a word. Mind you, the way the English language is “evolving”…don’t get us going. 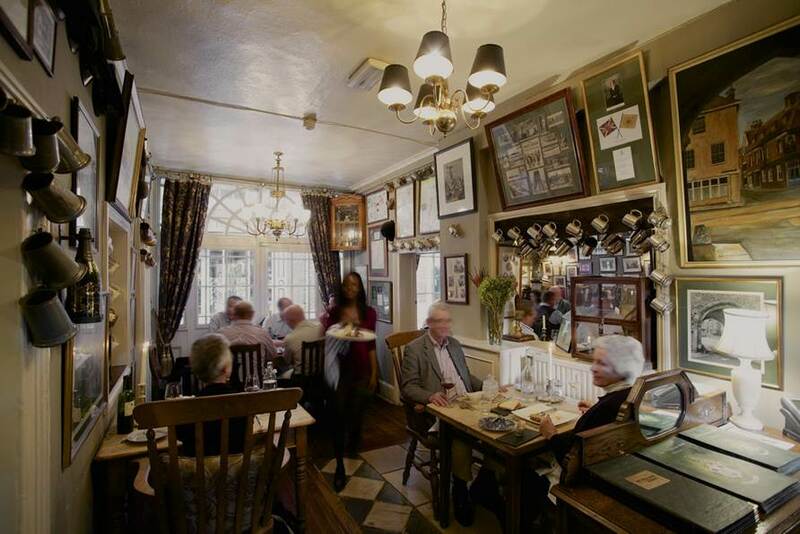 A very traditional town pub on the corner of a couple of delightful streets, the inside is welcoming and well, pub like – just as it should be. You know, settle down with a pint or a glass of dry white, newspaper or book, and watch the world go by. If the bar is crowded with locals, don’t worry, they’ll shout for a member of staff so you get served – friendly, then. 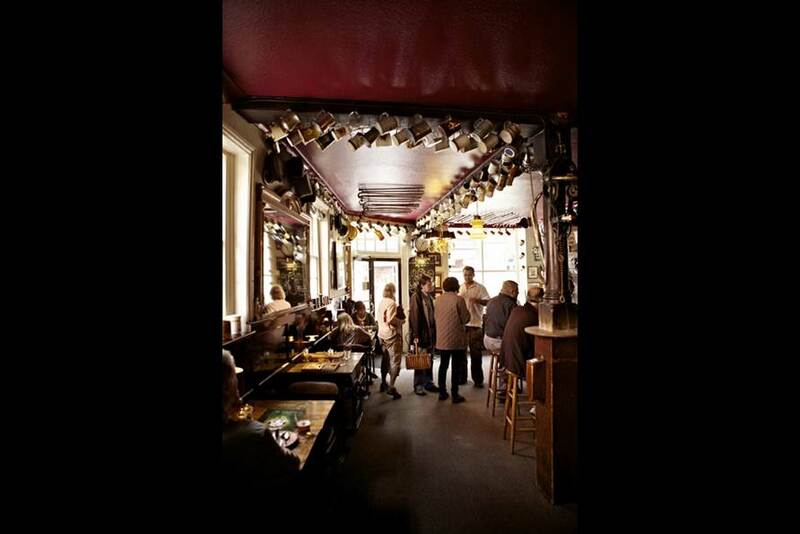 You can eat almost anywhere in the pub, where the rooms are arranged around the central bar. Very good beer and excellent wine by the glass. 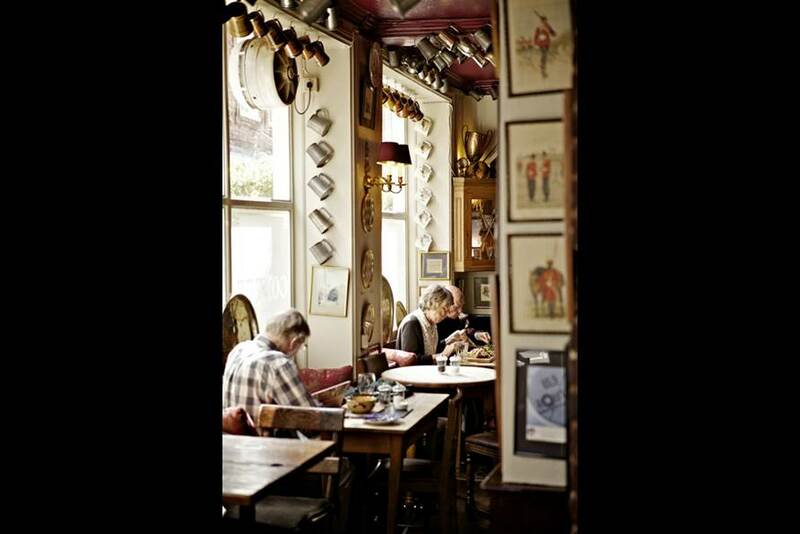 Oh, and stunning food – hearty and comforting, like the beer, wine, atmosphere [Enough!]. We’ve stayed both across the road [now gone, we think] and above the pub itself. It makes your heart glad. Images from the Wykeham Arms site.